I never met a piece of paper I didn't like. 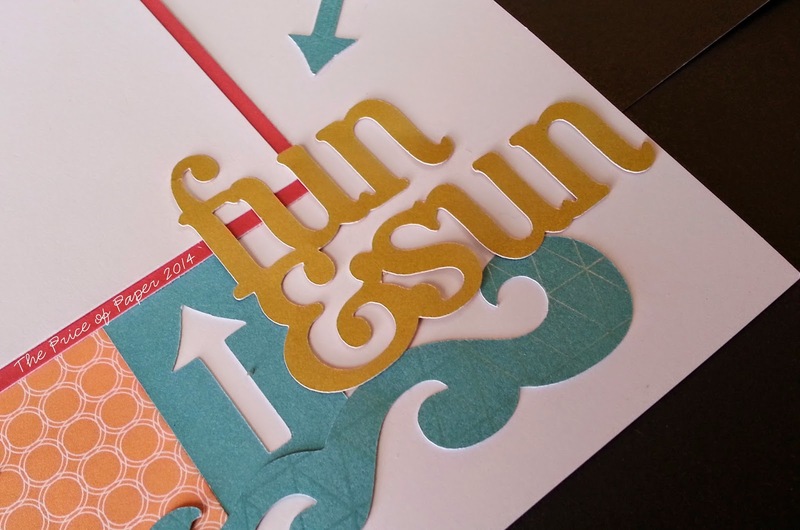 It’s National Scrapbooking Month and that calls for a special edition Blog Hop – Free to Be Me! 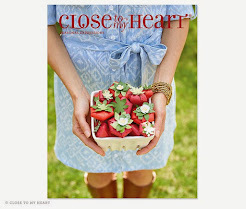 If you have come here from Terry Ann Diack’s blog, you’re in the right place! 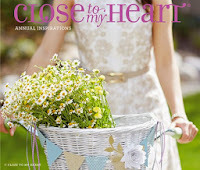 There are 20 independent Close to My Heart consultants participating. Click on the link at the end of the post on each blog to move through the Hop. The Blog Hop is a great big circle. Start here and work your way around. If you get lost along the way you’ll find a complete list of participating consultants here. You can use this list to pick up where you left off. I was perusing Facebook the other night and saw a summer-themed project a fellow consultant had made using Free to Be Me. I was instantly inspired and knew I wanted to make a summer layout. When I set to work I opened up one of my pattern books and found additional inspiration in the very first layout design I looked at! It was just details after that. I used some of the summer-themed keys on the Artbooking cartridge for my title, as well as a few other elements. 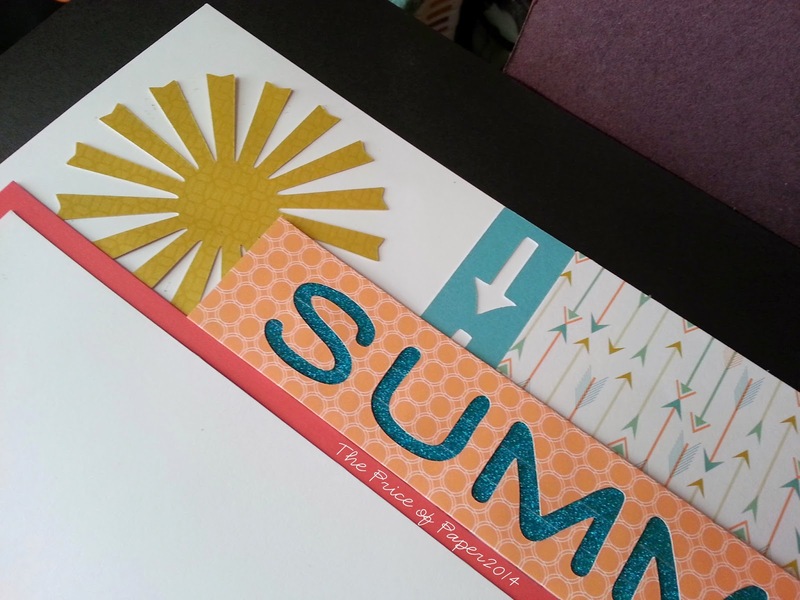 I modified the summer photo mat ever so slightly in Cricut Craft Room so that I could remove the holes that would have been used for making a mini album. I cut a piece of white cardstock just slightly smaller than the title piece, applied 3 rows of Teal Shimmer Trim, and then adhered the title over the top. You will notice that I did no stamping on this layout! I used the phrases from one of the zip strips, a sentiment cut on the Cricut, and arrows that came from the borders I also cut on the Cricut. So fast and easy! Now I just have to wait for summer to stick around so I can grab some snapshots to make my project complete. So how can you get a Free to Be Me paper collection for yourself? It’s easy! During National Scrapbooking Month in May, you can get the Free to Be Me paper collection for just $5 with your qualifying purchase of $50. The paper collection features exclusive printed cardstocks, vellums, and B&T Duos™ and, with a retail value of $11.95, is a fantastic deal for products you can’t get anywhere else. Plus, with your $50 qualifying purchase, you will also qualify for the May Stamp of the Month for an additional $5 (retail value $17.95)! This means May is the perfect month to double up on promotions, getting the paper collection for $5 and the May Stamp of the Month for $5—that is a savings of nearly $20! So make sure to get your Free to Be Me paper collection in May for just $5 and let your creativity take flight! Click here to order. Now “Hop” on over to Maria Myers’ blog to see her work, and be sure to visit each consultant’s blog for more creative inspiration. Free to Be Me paper collection – National Scrapbooking Month exclusive! Love your layout. This paper is perfect for summer (course, in Alberta summer only lasts for a day and a half) However, this would be a perfect layout for some of those pictures. Cute summer pages. Really like the added arrows. Can always use summer layouts. This layout is fabulous. Such a FUN summer layout!! Fantastic layout! What a great choice for summer pics...I really like how you've used the Artbooking, very clever!! That definitely looks like fun in the sun! How did I miss this layout?! great job - perfect for summer! I am a wife and a mother of one. I am also an Independent Consultant with Close to My Heart and the leader of The Price of Paper Team. I love to play with paper! Let me show you how! The content on this site is © Vicki S. Price (text, artwork, photographs, etc.) and for personal use only. Please do not submit my original artwork/ideas to any publications or contests, but do feel free to "scraplift" an idea. 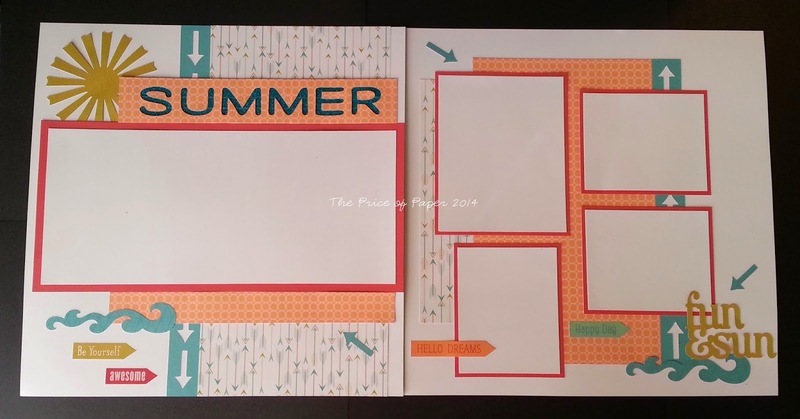 Stamp of the Month Blog Hop - June: Kaboom!